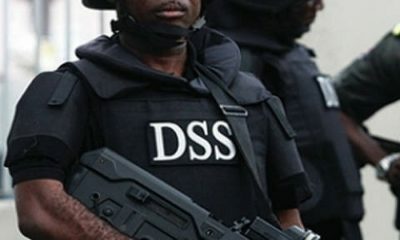 Nnamdi Kanu, director of controversial station, Radio Biafra, was reportedly arrested on Saturday by the Department of State Services (DSS). 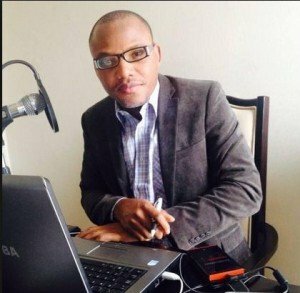 Vanguard reports that Deputy Director of the station, Uche Mefor, alongside other members of the group, confirmed the news via a broadcast, alleging that Kanu was arrested in Lagos by the security operatives, as he flew into Nigeria from his base in the UK. Good riddance. . .He should be given the “zoo” treatment. Lol…this is funny. I knew , the face of the Biafra radio station will be a shocker and definitely not based in Nigeria. Inciting violence is not tolerated, don’t mix it up with freedom of speech. What a coward idiot. I swear, you are a lost/confused soul. Oh, and a pathological liar. Igbos, biafra supporters or whinning victimizers, lying/distorting history or current situation to feel sorry for yourselves, blaming Yorubas and now Buhari for you guys problem will not get you anywhere. I don’t know what special treatment Igbos are looking for. Linda ikeji(the most popular blogger in Nigeria) is Igbo recently bought a house in Lagos. Yet you guys will be crying how Yorubas don’t want them to succeed or discriminate against them in Lagos. AS AN IGBO WOMAN, IT DISGUSTS ME THAT SOME BUFFOONS WHO HAVE NOT at all CONSULTED WITH NDI IGBO ROAM AROUND CAUSING CONFUSION TO AN ALREADY MARGINALIZED REGION!!! I hope he is punished severely so as to deter others. Imagine talking guns and bombs!!! God punish him – IDIOT. unfortunately for me one day, I was really really tired and was trying to sleep on my way to meet up someone, alas my driver put on the radio an tuned to Biafra radio… the only thing I could hear in my sleep was foolish Yoruba people, zoo, after we kill 50 zoo police we will raise the black flag, am like haba wat is this… come and see the rapt attention my driver was paying to it, fear nor gree my say change the station… this guy had people calling in from SA, Antigua, China etc. The violent talk was just too much, as God could have it, it was 12 o’clock, I just gently told the driver please I want to listen to news please change the station. I do not want Nigeria to split from where I stand! I do not support Biafra, Arewa etc. The problem isn’t Ifeanyi, the problem is Buhari!!!! Buhari is a huge reminder of our ethnic wound! What do you do when you seem rejected???? Every past peace loving leader tried to bring Nigeria together except APC and buhari. How do you explain that no Igbo leader is in NASS lower chamber even when Dogara fought to ensure all regions had a representative. Also an Igbo man will not be a part of the National security Council meeting???? That nonsensical and unfair to them. My Igbo people please be patient we shall vote out these footsore, haggard monsters. We will support a modern Northerner such as Ribadu, Dogara, Shekarau, Tambuwal, I think it’s fair to have Hausa President in PDP having had OBJ and GEJ from South!. Never again to ostracising any region. Shame on those who scratches un healed scars to bleed again! Shame on Tinubu and Buhari the division you bring will live with you. Let no dunce tell me Igbos didn’t vote APC- APC is not bigger than Nigeria who prescribed federal Character. Why did you not use the few Igbo APC? Igbo have freedom to vote their choice and still have a say in Nigeria!!!! Kebbi etc never voted GEJ but he didn’t secluded them!!!!! What exactly are you on & about, dear?. . .arewa, division, buhari, apc, dunce, bla bla bla. You are sounding like a broken record! Using your logic Buhari should claim credit for allowing an Igbo man to be deputy senate President. The other 247 tribes in Nigeria also don’t have a sit at NSC meetings, what makes the Igbo special? Goodluck in 2019 though. @nene, stop telling lies. Radio Biarritz , not about Bulgaria o APC. Even when GET was President they were already on radio calling Nigeria a zoo and asking for the death of Yours and Houses. They are a bunch of miscreants , why can’t they focus their energy on the Governors and politicians in the East who are robbing them blind? Aba is on of the dirtiest place in Nigeria and that has nothing to do with APC or Bulgaria. Even when you have Biafra your politicians will continue to rob you! Charles please go and complete your homework you brat!!! The truth can’t be hidden, it drives you crazy right? No wonder u can’t spell Yoruba correctly.Aba is the dirtiest place in Nigeria. Am very glad he’s been arrested…it’s a shame he has successfully poisoned the minds of many naive people, he is clearly instigating war and people have no clue of the effects. .it’s just one thing no one should experience. We can leave together in peace or separate in peace without verbally or physically abusing each other. Wow,so this cute face habours a lot of bile inside,na wa oh. Am all for one Nigeria. The only way to achieve that is by including every tribe in our daily affairs. The earlier we start accepting our diversity, and start being fair to each other the better..
None of us is born to rule and none is born to be ruled. Whether you are minority or majority, we all deserve a FAIR share. Look from the oil boom to , Boko Haram ,APC witch hunting and you will understand that we have not been FAIR to the Igbo man and the minority tribes. 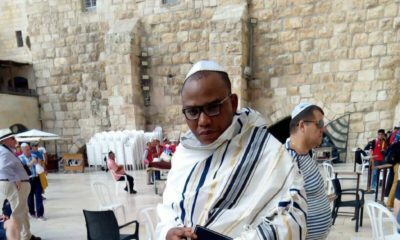 Mr. Nnamdi Kanu’s approach is definitely not the best way to go about these things but why do our leaders give people like him the chance to be heard? Fair and just polices are what we need to shut him up. He has the freedom of speech to talk. The government should not be afraid of him, if they are doing the right things because citizens who are included in their society will fight to keep it together. They will not listen to the likes of Mr. Kanu. Right @nene+. The tragedy of things is that the rest of the country appear not to understand, or rather, pretend not to know that the present regime of Buhari, has taken Nigeria back decades, on our walk to national healing and unity. But as a people, Ndi Igbo should channel their emotion to positives. Political power matters, true, but with diminishing national revenue its reach will be affected. Nothing however can destroy the determination of a people to survive against all odds. Nnamdi Kanu does not represent the kind of Igbo voice I desire for in Nigeria, but the little I hear of the reach of that station and the stuff they preach, tickles my imagination on the possibilities of mass mobilization- for positive action. Hilarious that an Edet is campaigning for Biafra. Try running for office in aniIgbo first. War is not the answer, Is good to show our grievance at the same time .The federal Government should stop arresting them but talk with them and find a solution to there grievance . Wait, so he doesn’t live in Nigeria? He’s trying to cause commotion from outside the country. When it is time to fight he’ll flee and be ‘providing support remotely’. Indeed. If the call for Biafra is evil, my prayer is for God to let it die a natural death and may God bless Nigeria abundantly, but if it is against oppression/injustice/high-handedness/nepotism, may God visit those holding Biafra back with something even bigger than Boko Haram. God, as you dealt with Egypt in the red sea, may you remove the wheels of progress of those holding Biafra back. May you inflict them with mysterious plaques. May your mighty hands be against them. God, if Nigeria has been just and fair to Biafra/Biafrans, may you lift it up as a nation but if it has been mean and unjust to Biafra may it never progress and may error and terror fill its land till it’s brought down to ashes. Is it me or no one is concerned that dude is based in the UK. .instigating mayhem from the comfort of his home in London. .Rebel without a cause and a coward! ! Amen to @ Onyekachi’s prayers. No need for tribal fight on BN today. That prayer says it all. Let God that sees both that which is hidden and the one in the open reward accordingly. Whatever a man sows let him reap. I don’t want Biafra, at least not yet. Whether anyone cares to admit it or not, the Igbos have been marginalised severely. Now I’m not one to cry wolf unnecessarily, but an unbiased person who does even a surface research from the 60s to present day will undoubtedly reach this conclusion. For Goodness sake, how can Igbo not be represented in the National Security Council? How? Do people realise the magnitude of this? The above notwithstanding, the Igbos are NOT ready for Biafra. Where are we going to go to? I’m ashamed that there’s no State in the east that can compare to Lagos and Abuja. Enugu and Anambra that we call our progressives states have a long way to go. The Igbos will keep cheating themselves, biko of all the thieving Governors and politicians, the Igbos take the cake. Look at Okorocha, the 2 Uzos of Abia. Ohakim, these guys didn’t even attempt to work. For goodness sake, look at Aba that should be our own pride, just look it. What about our illustrious sons and daughter? They’re investing everywhere but Igboland, developing everywhere but Igboland. If there must be Biafra, it should be pushed back by 20 years or more. Let the Igbo man develop himself and his States. How many Igbo people are willing to move back to the east as it is now? Even those there will leave if given the opportunity to do so, please let’s not kid ourselves. 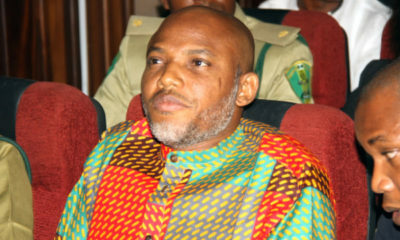 I’m especially worried about the fact that this Kanu of a director doesn’t even live in Nigeria. Can you imagine? So if we agree to fight for Biafra now now, will he be directing from where is? Biko we are not ready for war, most certainly not if all we will go back to is the east as presently constituted. Even our almighty Enugu and Anambra cannot compare to Akwa Ibom or Cross River, or do we think the SS are part of the Biafran struggle? Please don’t me laugh.